Peterson was joined in fantastic performance by Jaycob Brugman, who continued his hitting streak last week, going 10 for 25 (.400) with 4 home runs, 9 runs scored and 9 ribs! Brugman now has 10 home runs in the last two weeks — matching his total for all the previous weeks of the season. And this comes after he was promoted to the A+ California League. Does he need to go straight to AA? On the mound a trio of pitchers deserve mention. Boone Whiting earned a 0.00 era with 4 strike outs over 4 innings last week. In the International League (AAA), Nik Turley earned a win giving up just 1 earned run while striking out 4 in 5.1 innings pitched. And Clayton Mortensen is back to his regular form earning a win in a 7-inning start with a 0.86 WHIP. With luck he can stay healthy and make it back to the majors next year. 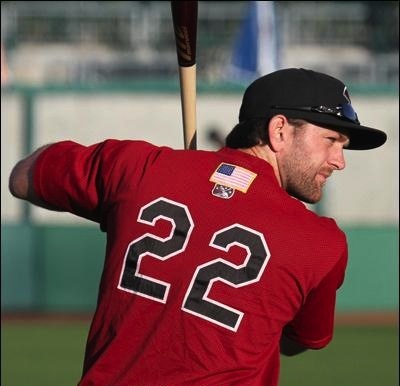 Marcus Littlewood was promoted to the High Desert Mavericks of the California League (A+) from the Clinton Lumberkings of the Midwest League (A). Taylor Cole was sent back down from the Eastern League (AA) to the Dunedin Blue Jays in the Florida State League (A+). Tyson Brummett remains on the disabled list. YTD: .316, 95 runs, 82 rbi, 11 hr, 59 bb, 11 sb, 127 so in 494 at bats. YTD: .276, 42 runs, 43 rbi, 7 hr, 28 bb, 3 sb, 61 so in 272 at bats. YTD: .312, 48 runs, 47 rbi, 16 hr, 19 bb, 6 sb, 45 so in 247 at bats.